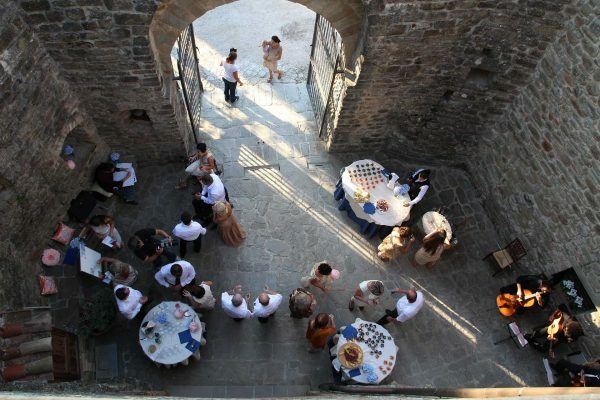 The Castle of Petroia is a perfect location for intimate weddings, it is a timeless place, where the fable of a union can take place. The large outdoor areas offer different scenarios for the various moments of the event. 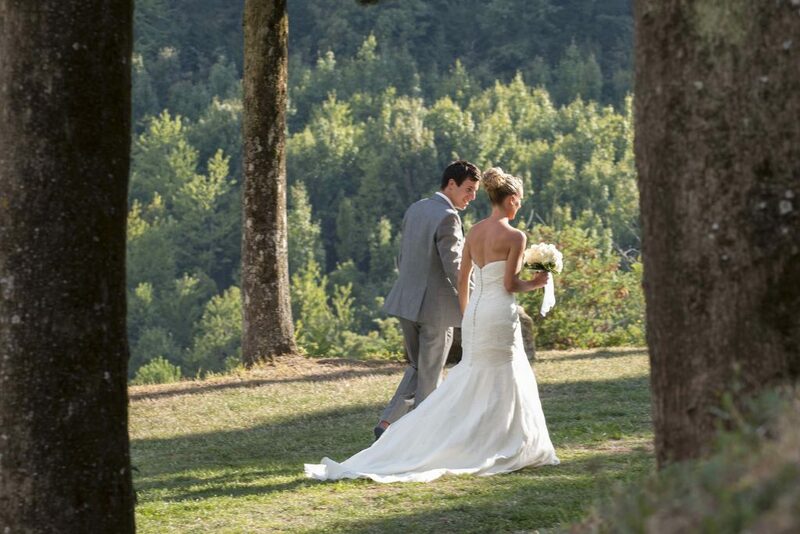 If you wish this day to be unique and special, just say “Yes”, we’ll say “I do”! 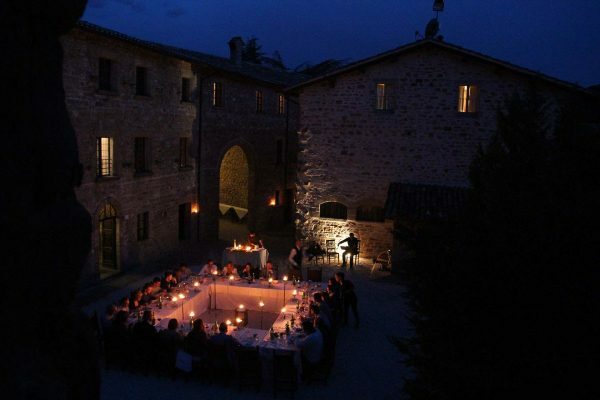 Castello di Petroia is a magic place for small and intimate weddings. Our restaurant can accommodate up to 60 persons and our Suites , up to 30/35. You can hire the entire Castle and make your fairy tale Wedding dream come true. 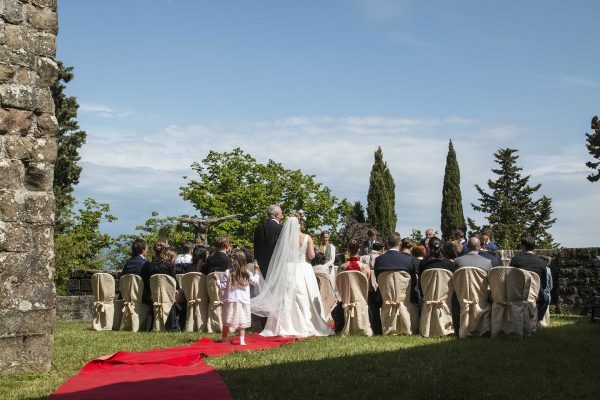 We have nice open spaces such as a big terrace, a white stone piazza and gardens just beneath the medieval Tower with a marvellous view of the surroundings, where your symbolic ceremony can be organized. 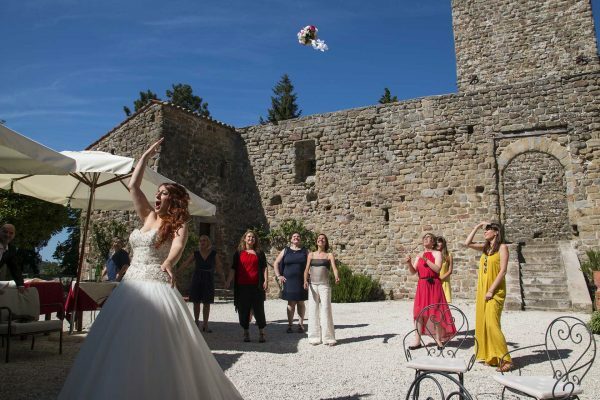 You can celebrate your legal or religious ceremony in the nearest historic town of Gubbio. We can help you with everything you may need: flower decorations, live music, hair dresser, photographer, fireworks show, etc . 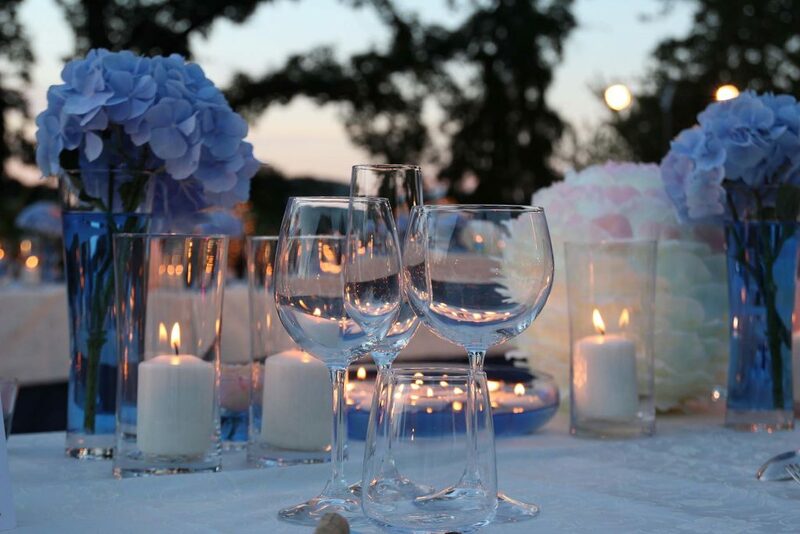 Our experience will make your special event unforgettable. It is possible to celebrate only symbolic ceremonies. Up to 60 people can participate at the banquet. The menu is to be decided together with our Chef – Walter Passeri. 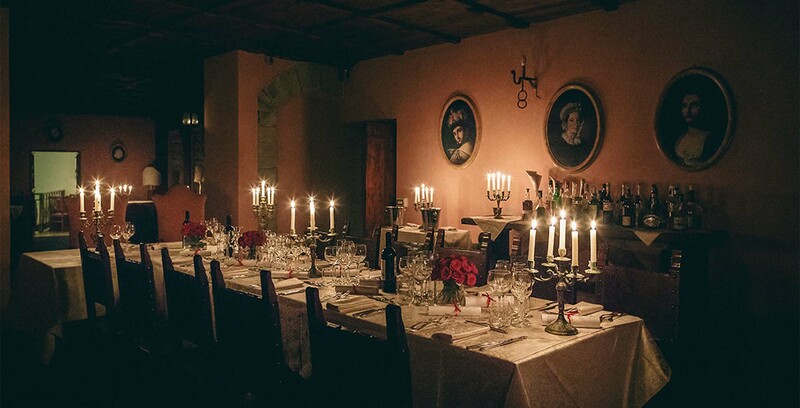 It is possible to hire the entire castle for your special event. In the castle there are 15 Suites. I agree to the processing of personal data in accordance with the articles 7, 13 and 23 of Legislative Decree n° 196/2003.